There are so many choices out there today that it’s overwhelming. We, adults, make around 35,000 decisions every single day. It’s exhausting. Which is why it’s so great to receive a recommendation for a product or service from someone we like and trust. We automatically believe that we, too, will have a similar experience with that product or service. There over 1.8 billion websites on the Internet. Most are selling something. Most likely, you are too. Why not ask your loyal customers to leave reviews on your site? It’s easier to set up than you think. Read on to discover how you can use the impact of user reviews for online marketing. You know the type. Those people who prefer to wait patiently on the sidelines for everyone else to tell them where to go next. Customer reviews help persuade those fence sitters to finally make a decision. These people tend to do a lot of research before they make up their minds. User reviews help fence sitters fully understand the best and worst about a product or service your site offers. Often, the first thing a potential customer wants to read on your site is the customer reviews. Studies are showing that 95% of us are actively seeking out online customer reviews before we make a purchasing decision. And those numbers are higher in the hospitality industry. Before consumers head to a hotel, restaurant, or attraction they want to know what to expect and whether or not it’s worth the trip. And it’s not just positive reviews people want. In fact, many people feel that a site is featuring fake reviews if there are no negative comments left. But it’s more than that. People want to know how a company responds to negative reviews. If you react quickly and with anger, your company ends up looking petty. But a company willing to respond and seek out a way to rectify the situation gains respect. The reason is that people are looking to understand product and service shortcomings before coming to a decision. And they also want to know how your company handles its shortcomings. Why are online reviews important? They help build credibility and trust between your business and your customers. There’s probably not a human alive who hasn’t had a bad experience with a product or service. We walk away slightly emotionally wounded wishing we had the power of hindsight. Customer reviews provide consumers with that much-needed hindsight shared by those who have ventured before them. These new consumers are allowed to read what others honestly thought of your product or service so they can determine if your business is worth their time. You don’t even need a lot of reviews on your site. As few as 5 reviews can help you build credibility online. 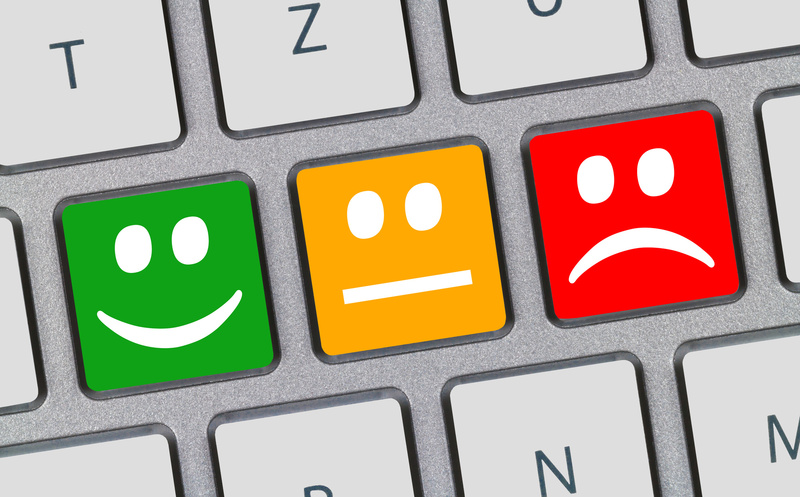 Online customer reviews actually do your business a huge favor. They end up lowering your support burden. When a customer reads the reviews before they make a purchase, they have a much better sense of what to expect. Often, someone else has already described the experience with the product. They may have discussed some of the quirks or problems someone might encounter using your product. That means, they don’t need to open a support ticket or end up in a chat query in order to have their questions answered. Your existing customers are doing that work for you. Another way you can easily put your customers to work is to help you organically improve your SEO. It’s free user review marketing. Your customers will naturally use certain keywords and phrases while describing your product or service. That will then help other customers find your website when doing a keyword search. Also, search engines will love using that new content along with those keywords and phrases to naturally boost you towards the top of the rankings. To learn how to further help you improve your SEO, visit HIVE Digital Strategy. If you sell products or services on another site, you’re probably at the mercy of their rating system. Sites like Amazon.com use ratings to help people quickly ascertain how worthwhile a product is. Often, the star rating system is what is first noticed by a customer. And the higher number of stars a business receives, the more products that company tends to sell. Those companies who provide several places like social media and their websites where customers can leave reviews, thoughts, and options have much higher ratings. No company wants a bad review. But if a business is smart, they’ll welcome any and all types of reviews. That’s because you can learn so much about the user’s experience from their reviews. And let’s face it, it’s your customers you want to impress. Reviews can help you learn how to improve your customer service. They can help you improve glitches in your product. Think of it this way, the Lego company was on the brink of going out of business until they started listening to their customers. By taking the time to hear them out and learn how they played with the Lego’s, their business began to quickly improve. Now they’re hugely successful because they welcomed their customer’s input. In some cases, they even hired some of their best customers. There are several ways you can ask customers for user reviews. For those who don’t mind cold calling, you can simply pick up your phone and ask them to send you a review. You can also e-mail your customers to ask for a review. As an incentive/thank you, offer them a discount or something free for leaving a review. Contacting a professional company to help you set up and manage your customer online reviews can help you quickly build the online reputation you deserve. Don’t wait for a bad review to hit you before you take action, contact us to learn more.